Rep. Gary Glenn has been named Freshman Legislator of the Year by the Michigan Information and Research Service (MIRSNews.com). Glenn’s selection from among 44 first-term state representatives and 10 first-time state senators was announced on MIRS Monday, a weekly podcast featuring a round table discussion by MIRS state Capitol reporters that focused primarily on Glenn’s bipartisan leadership on this year’s energy policy debate in Lansing. 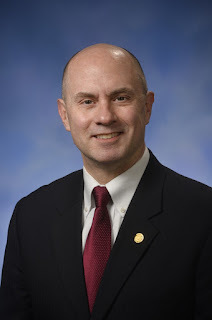 Glenn, R-Midland, is vice-chairman of the Energy Policy Committee in the state House of Representatives.